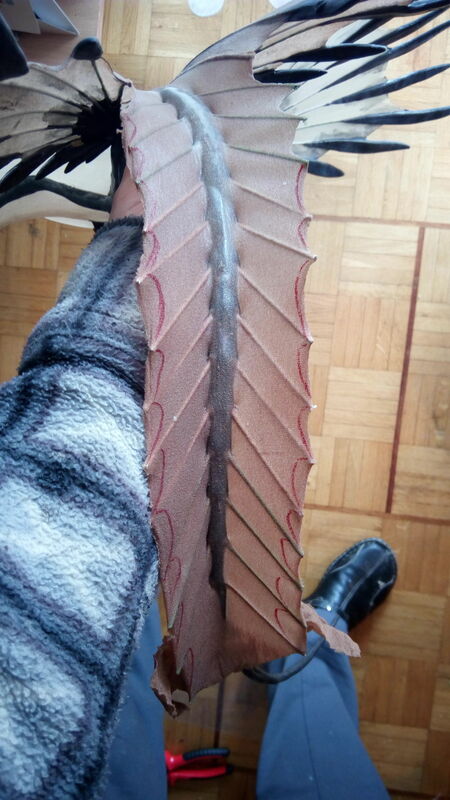 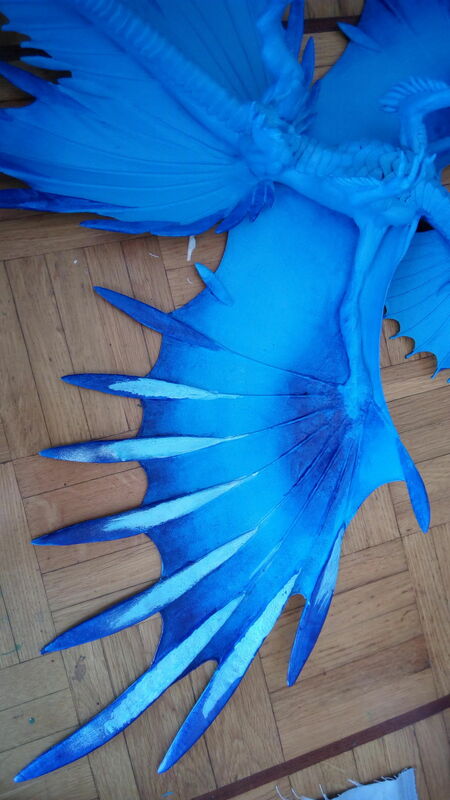 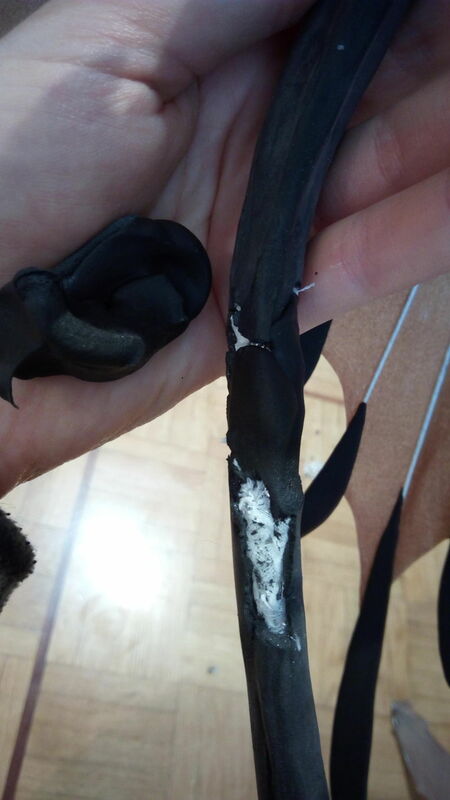 Painting, cutting and reattaching the discarded third pair of wings! 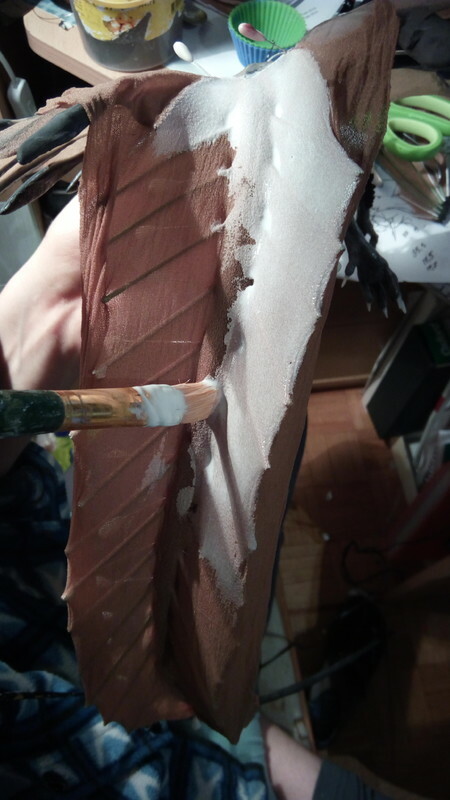 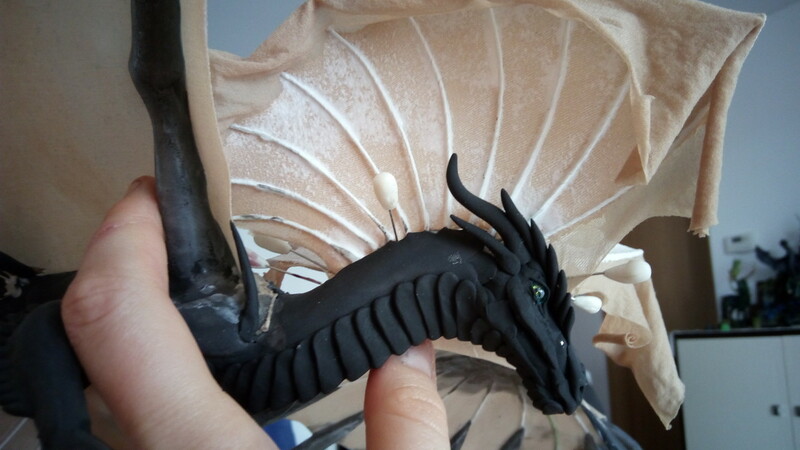 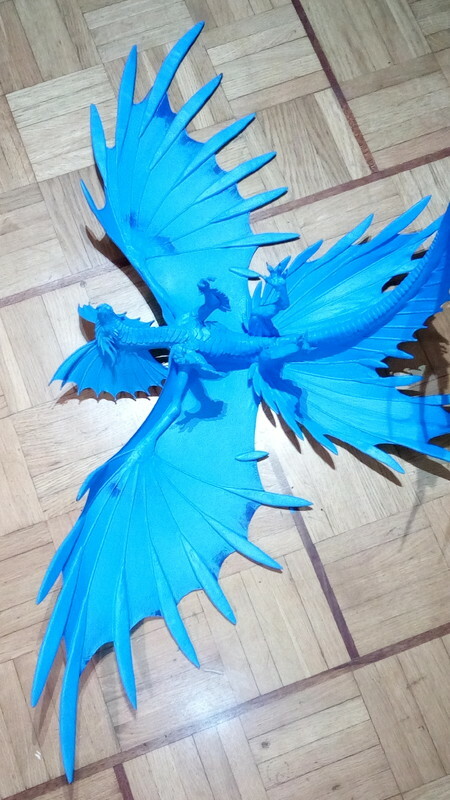 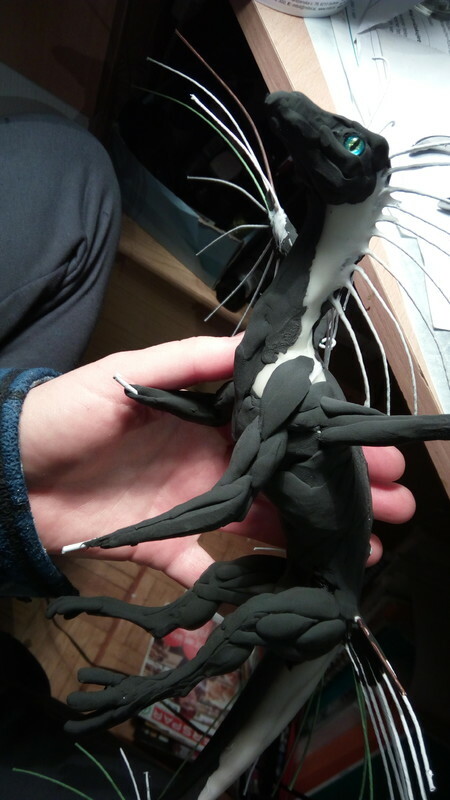 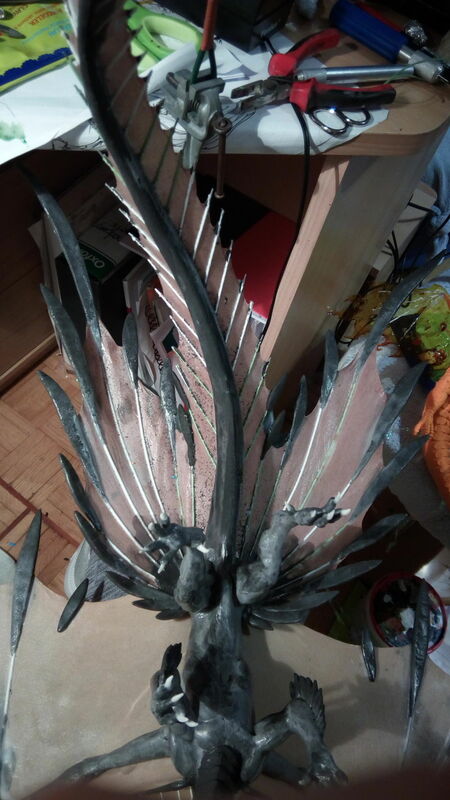 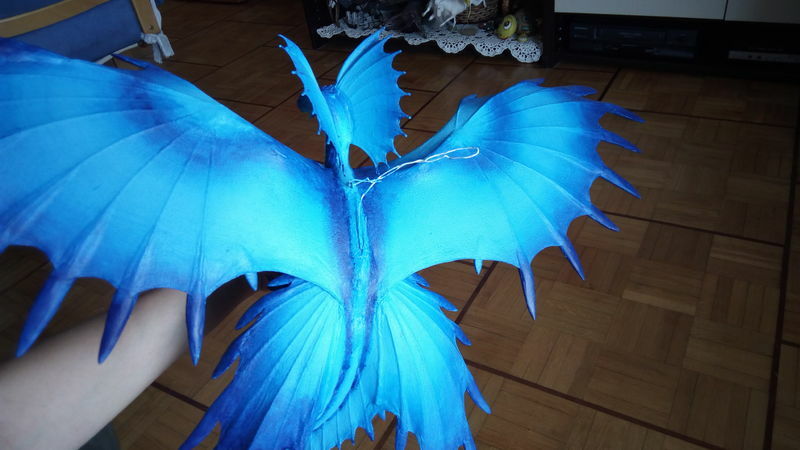 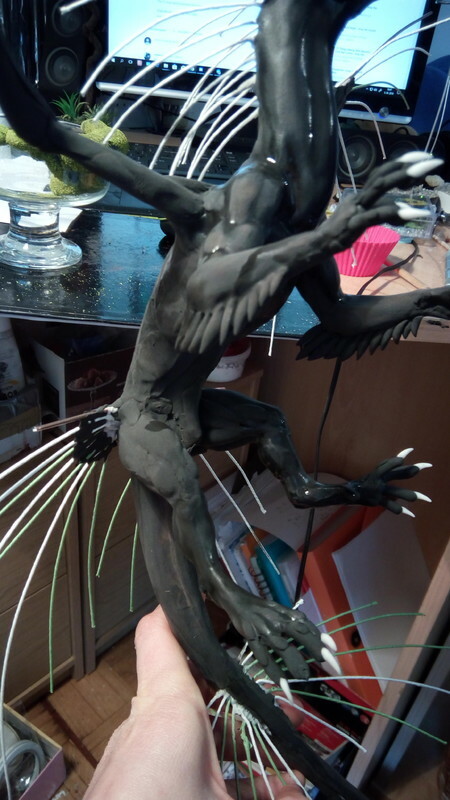 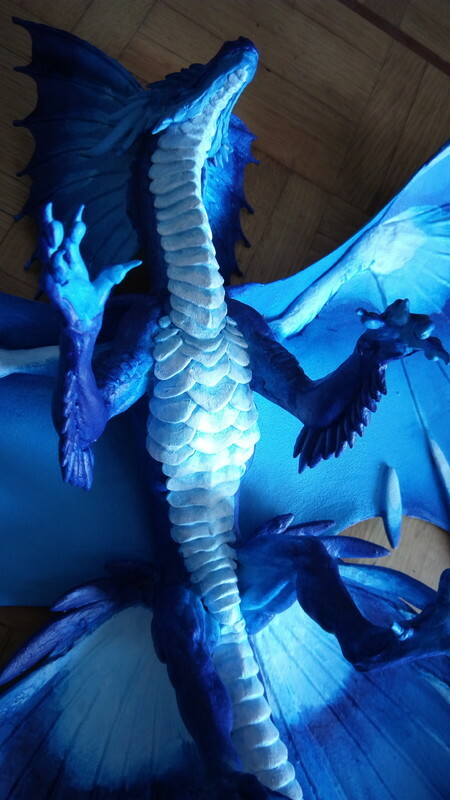 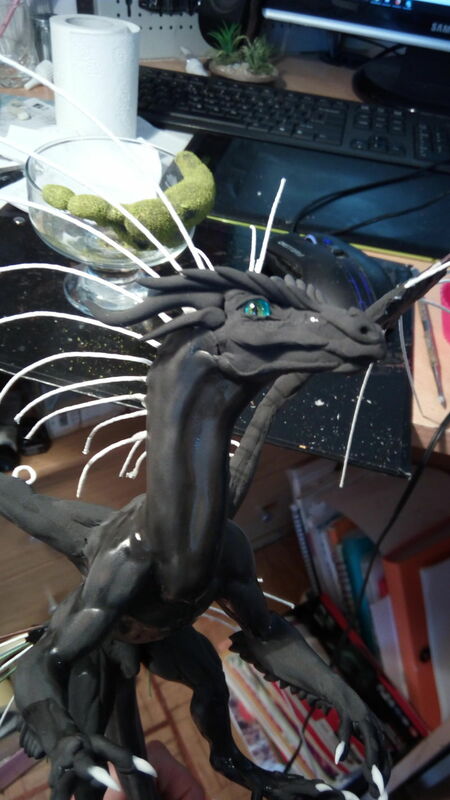 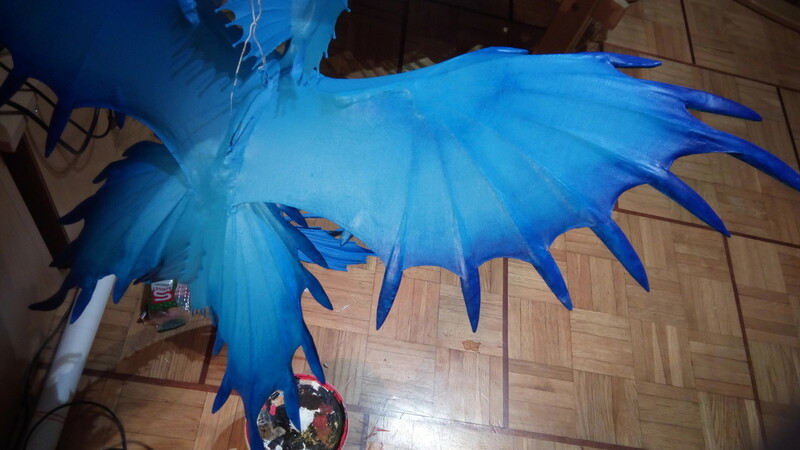 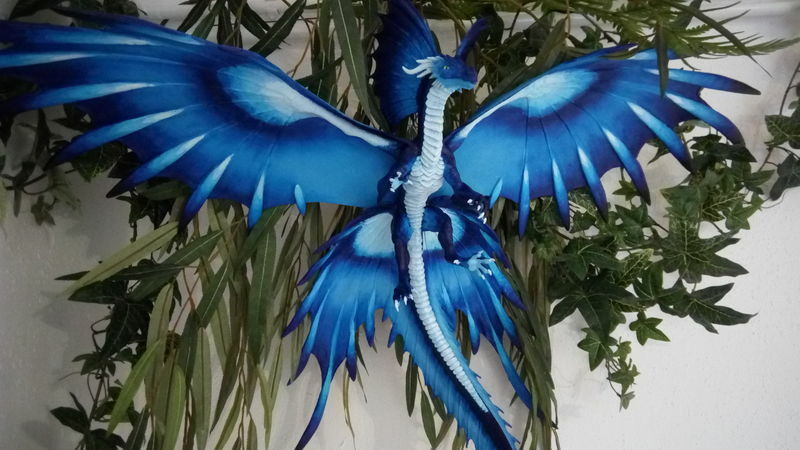 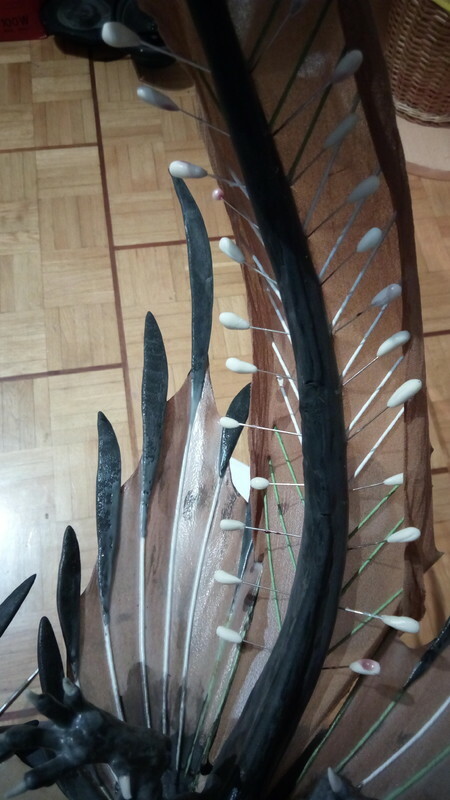 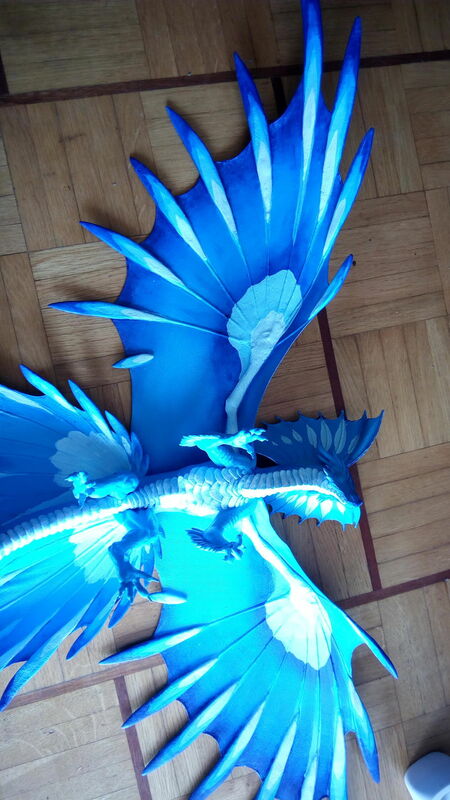 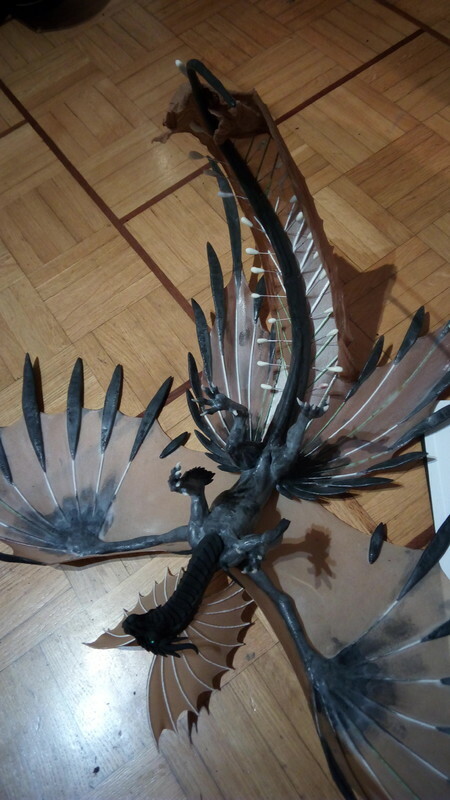 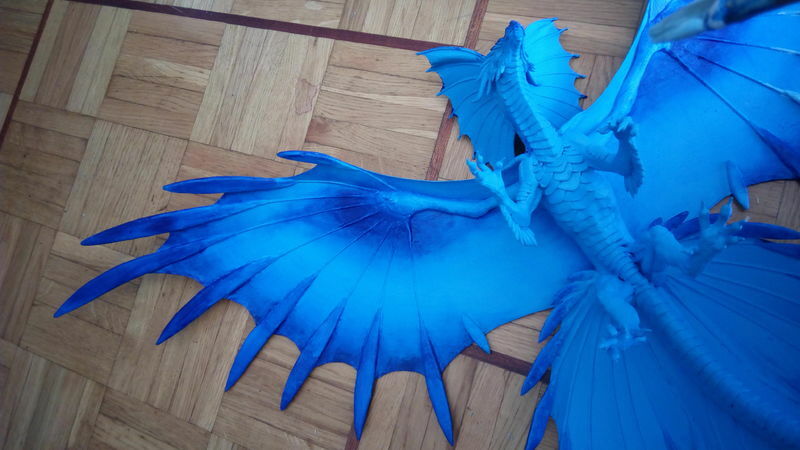 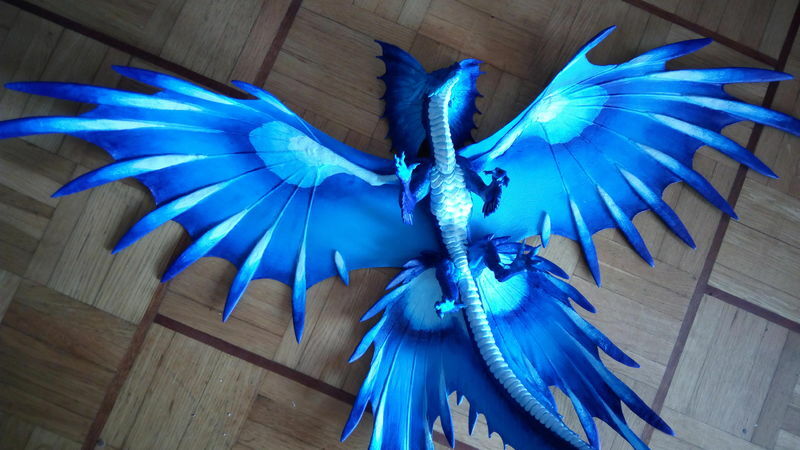 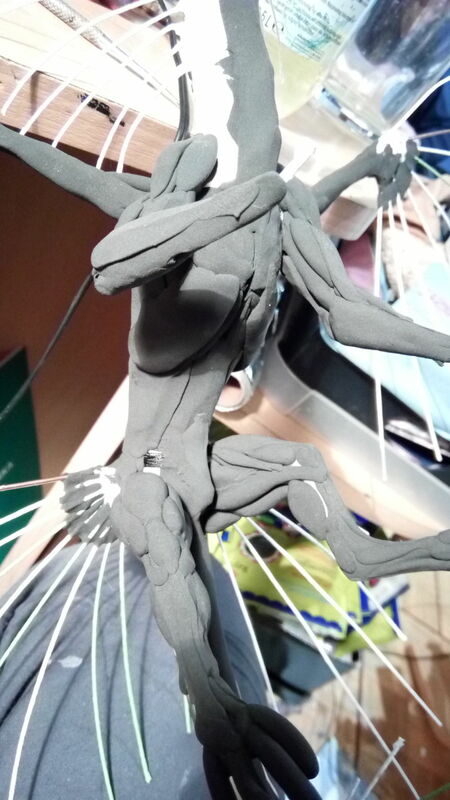 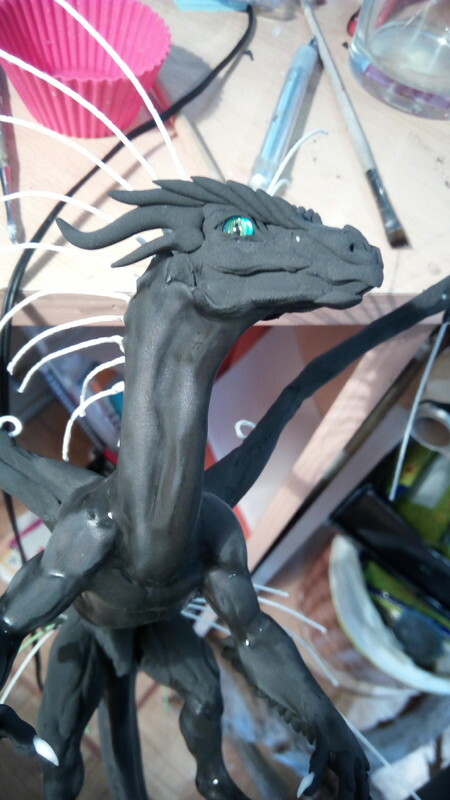 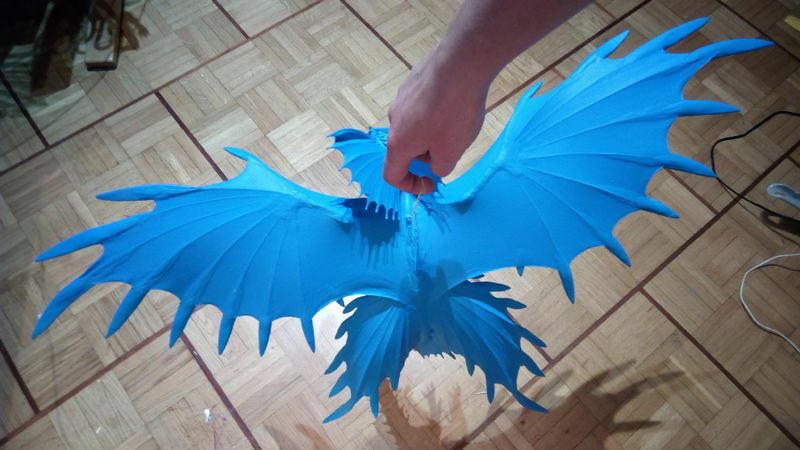 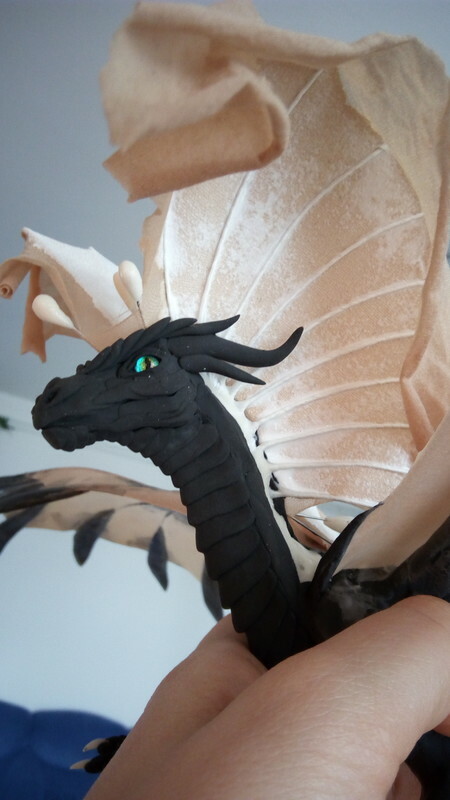 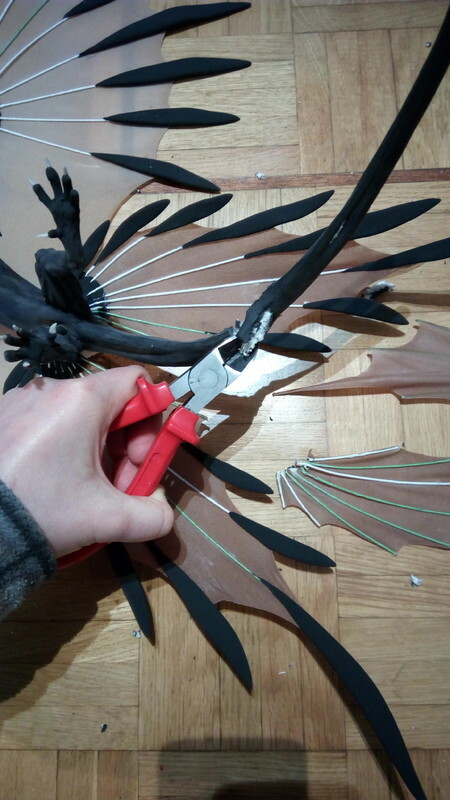 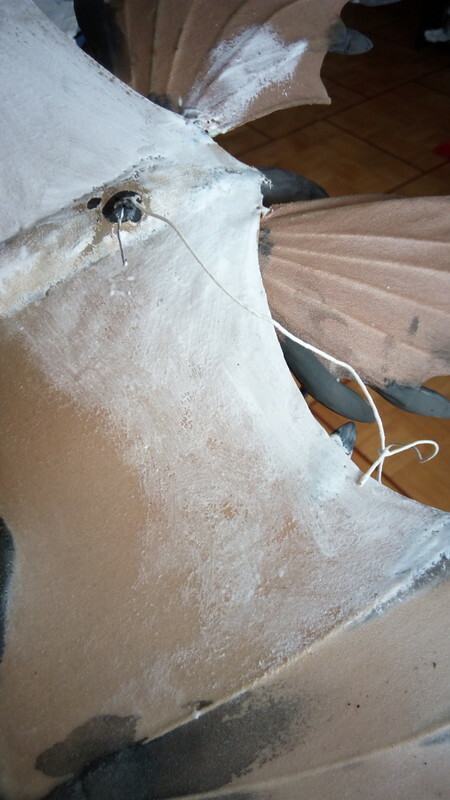 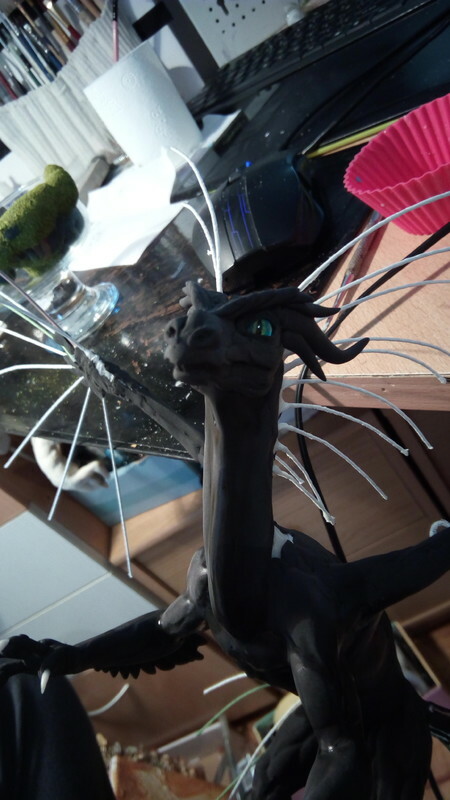 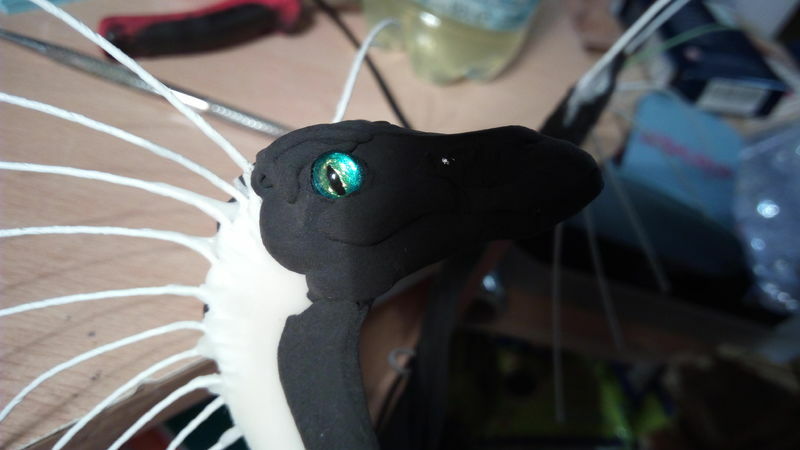 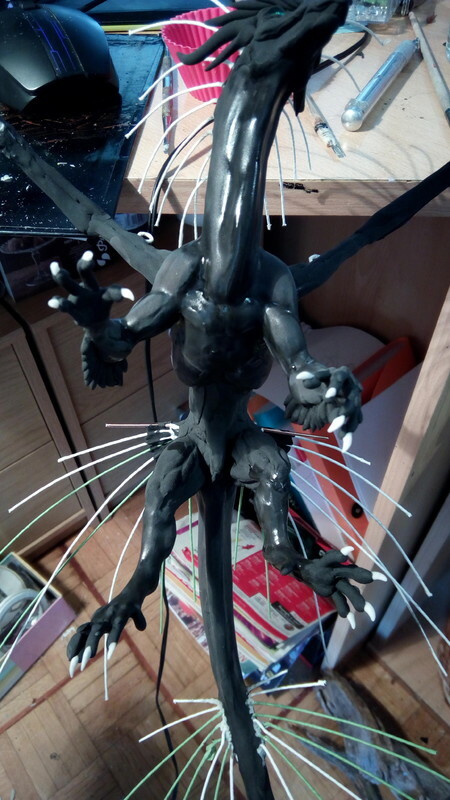 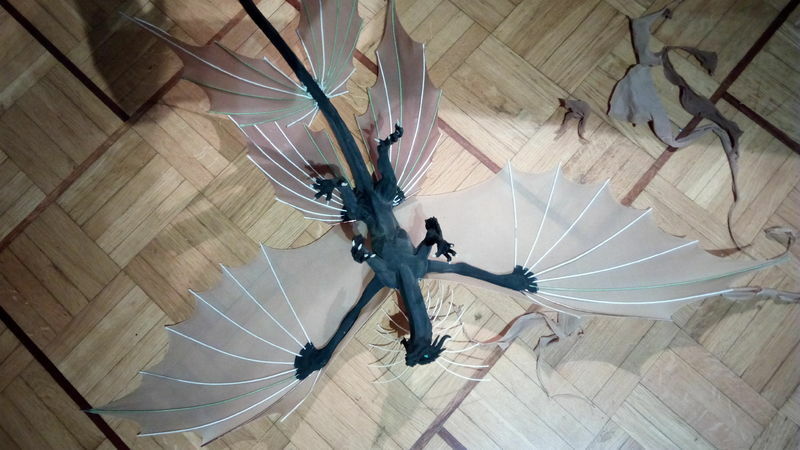 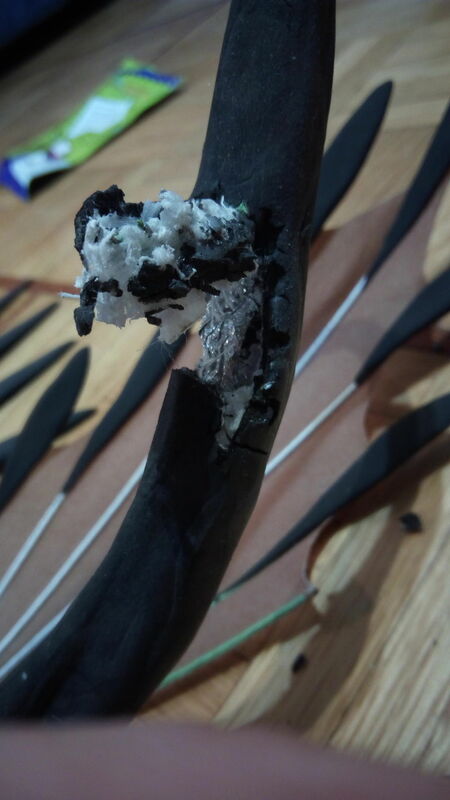 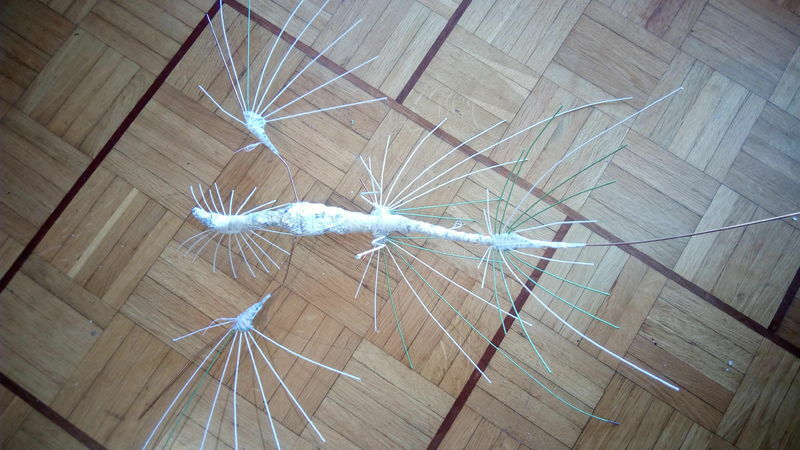 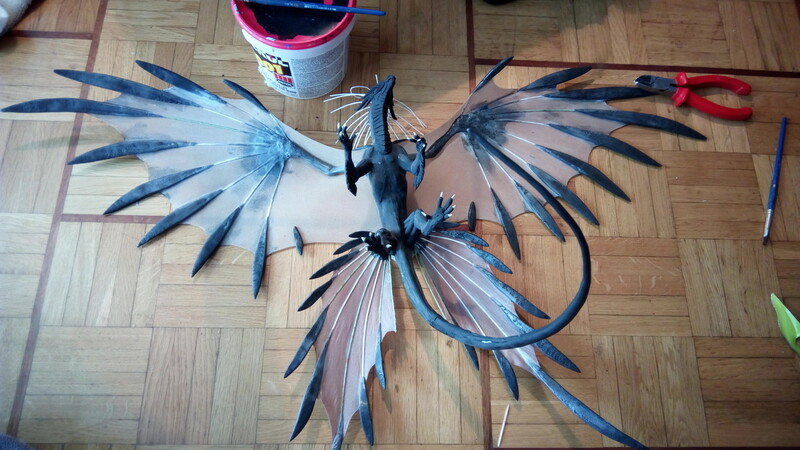 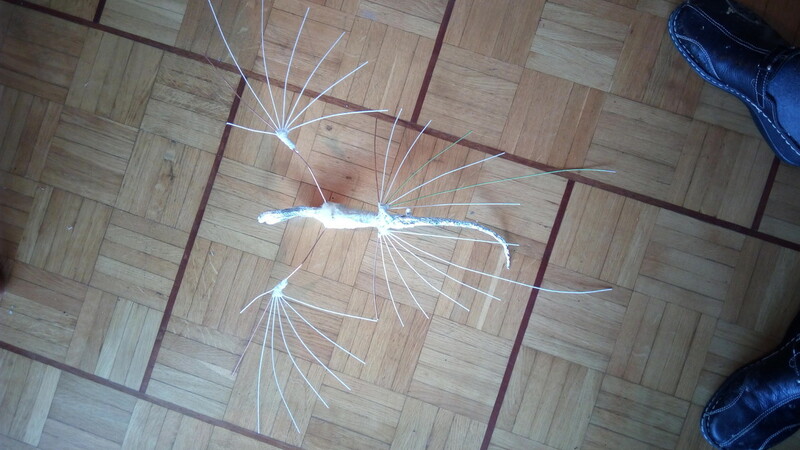 while I have removed the pair of wings for not fitting visually on the base of the tail it does not mean I can't resue them elswhere ^^ so I did just that on the tail tip. 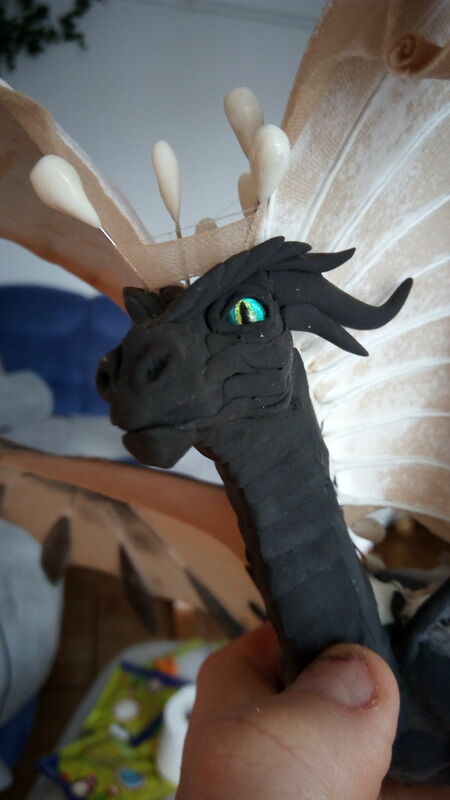 he got one mean eye there. 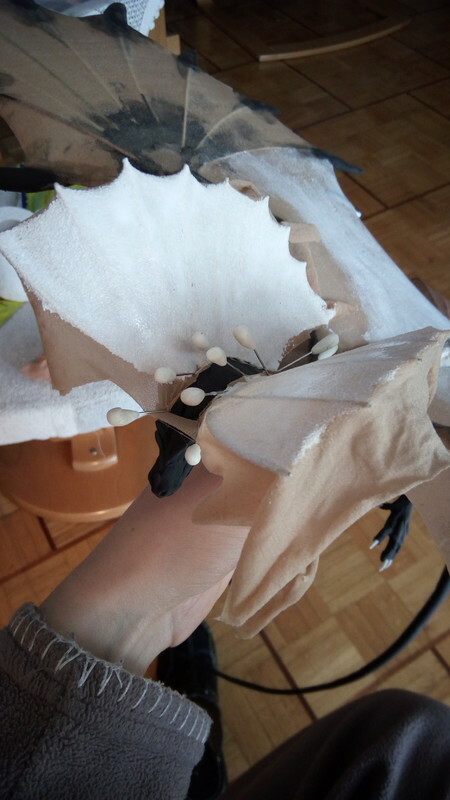 He hungry! 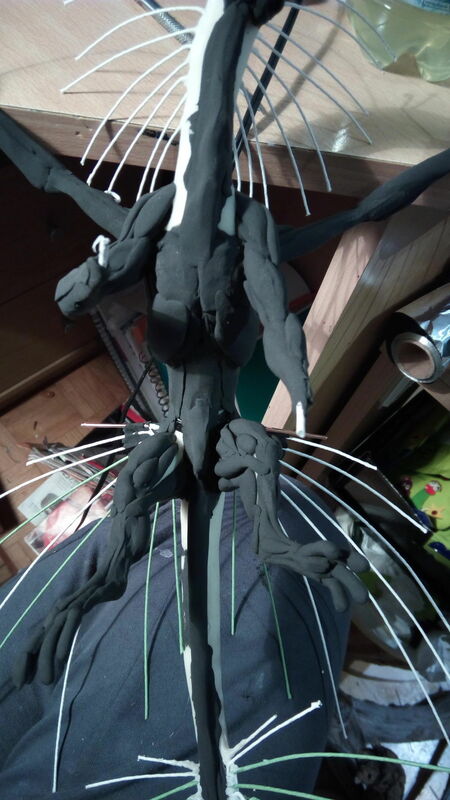 Building up the skeletal structure. 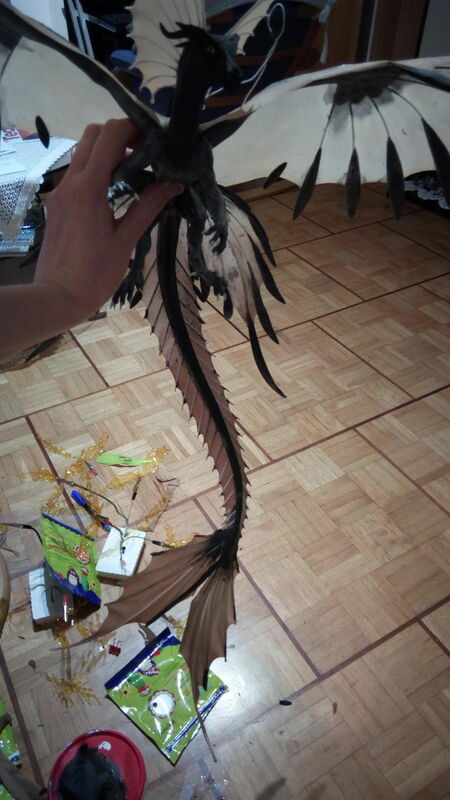 All the fish bones!